The world spreads out before us. We discover some sort of order within it, and through thought, we create systems and frameworks and modify them to make sense of our world. These systems may seem unchangeable when one is within them, yet they can transform significantly depending on time and place. Even within the same paradigm, one small break with convention can be enough to alter people’s perceptions. The work of the artist is just that: to rethink the mundane events that surround us, to reset the configurations and reframe them with a change in perspective. Their re-imaginings are often the impetus for subtle shifts in perception. The Artist in Residence (AIR) Program itself, which by definition has artists living and working in a temporary environment, may effect some kind of change in the lives and work of the artists, as well as the lives of the people who experience their artwork. For the Autumn 2016 AIR Program, we invite artists who feel it is “time for a change,” whatever that change may be. 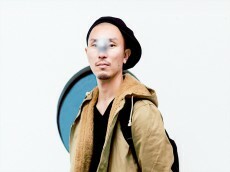 Born in 1982 in Tokyo, Japan. Graduated from the Tokyo University of Arts. 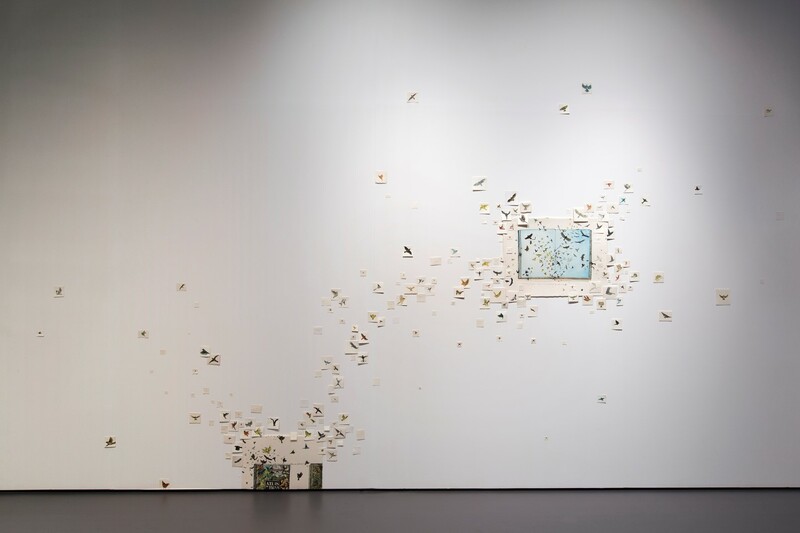 Arikawa expands the act of seeing to expose images that slip through the mesh of the viewer’s cognition using time-based media--film, video, photography, and sound. The images in his works constantly reinvent themselves, giving the audience new perspectives with each viewing. 2016 “Seeing, Not Seeing” (solo), Galerie Helder, Den Haag, The Netherlands. 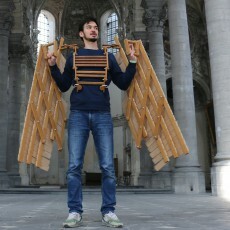 2015 “Rijksakademie OPEN 2015”, Rijksakademie, Amsterdam, The Netherlands. 2014 “International Film Festival Rotterdam”, Rotterdam, The Netherlands. 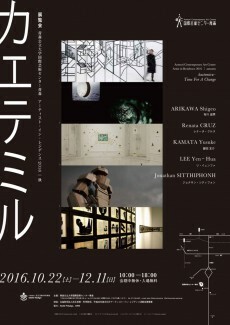 2012 “Ebisu International Festival for Arts & Alternative Visions”, Tokyo Photographic Art Museum, Tokyo, Japan. 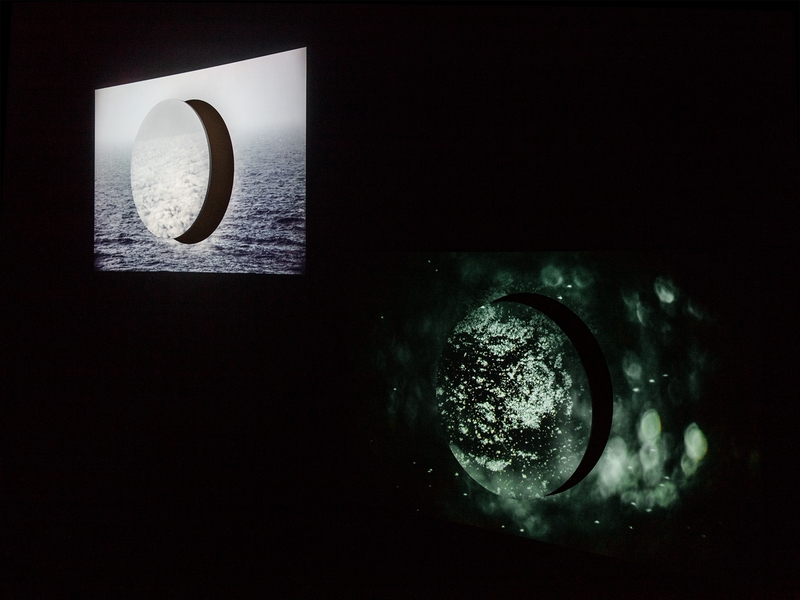 The Figure: PARTⅡ To Darkness, video projected in the installation, 2015. 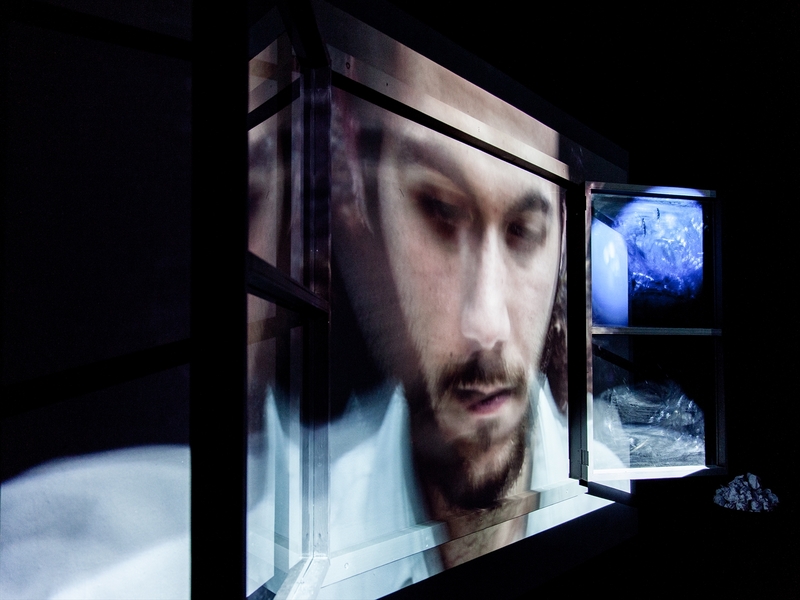 Melting points, video projected in the installation, 2015. 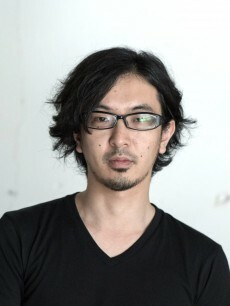 Born in 1984 in Kanagawa, Japan. Graduated from the Tokyo University of Arts. 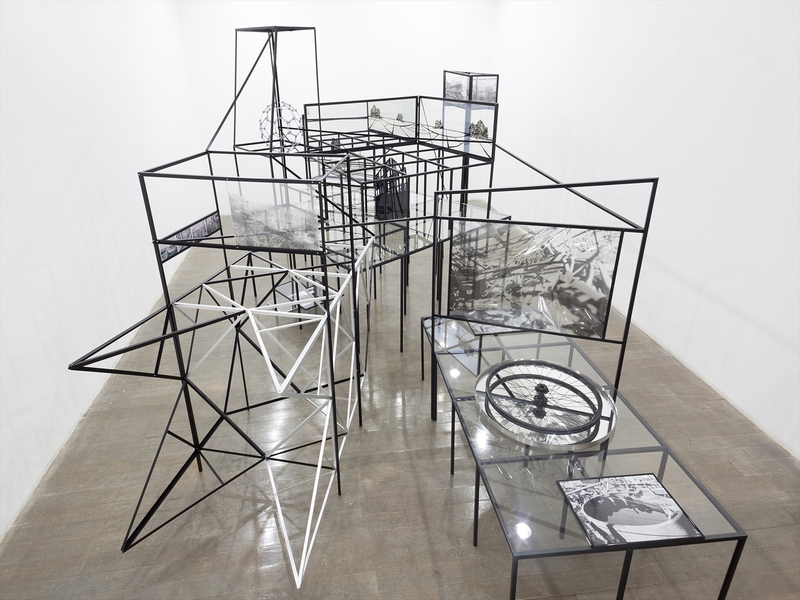 Kamata exposes the distortion inherent in architecture and history through his works, which are built upon extensive research into the connection between war and the energy industry as well as the architectural and modern histories of Japan. 2016 “CLAIRVOYANCE”, Tokyo Metropolitan Art Museum, Tokyo, Japan. 2014 “D Construction Atlas ‘Kyoto’” (solo), Art Center, Kyoto, Japan. 2013 “CRITERIUM86: D Structure Atlas” (solo), Gallery 9, Contemporary Art Gallery, Art Tower Mito, Ibaraki, Japan. 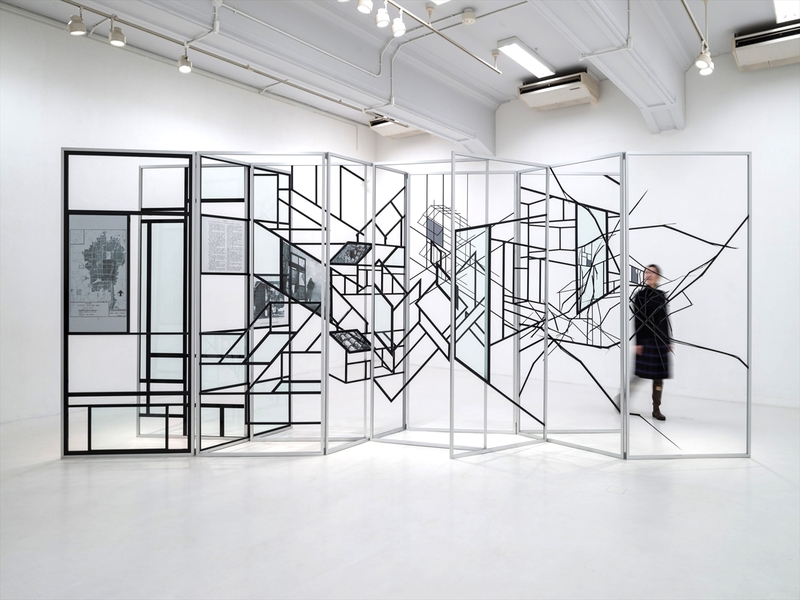 2012 “Dimension Distortion Destruction” (solo), Shiseido gallery, Tokyo, Japan. D Construction Atlas, Exhibition at the Kyoto Art Center, 2014. D Structure Atlas, Exhibition at Art Tower Mito, 2013. Born in Taiwan. Graduated from Northern Illinois University (MFA). Lee combines sculpture and drawing to create installations that integrate the structure of a book to layer the human perception of time and our accumulation of memory. 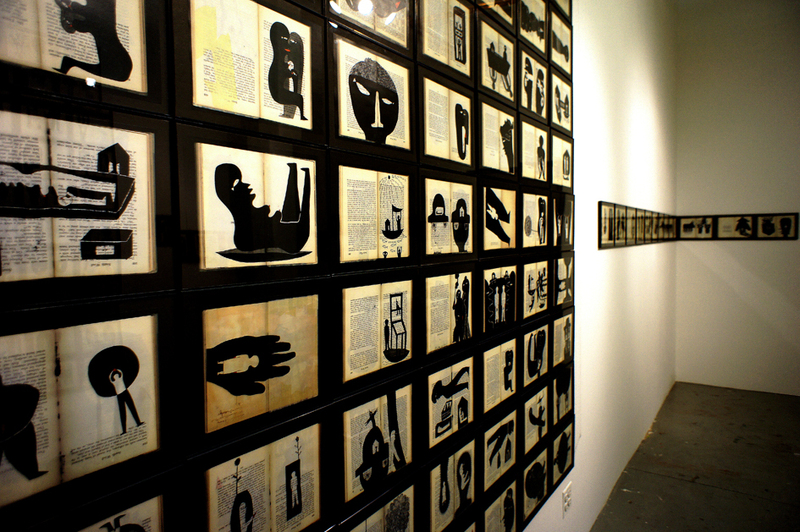 The black figures in her work symbolize human memory as representations of the search for home, love, and desire. These figures are presented as painting installations that fill the exhibition space. 2014 “Here is home” (solo), Centro Cultural Gonzales Gallo, Jalisco, Mexico. 2013 “Innovation & Re-creation”, National Taiwan Museum of Fine Arts, Taichung, Taiwan. 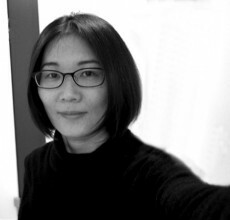 2013 “Returning” (solo), Feng-Chia art center, Fen-chia University, Taichung, Taiwan. 2011 “Asian Variegations”, Chelsea Art Museum, NY, USA. Born in 1983 in Reims, France. Graduated from Ecole Nationale Supérieure d'Art Bourges (MA). 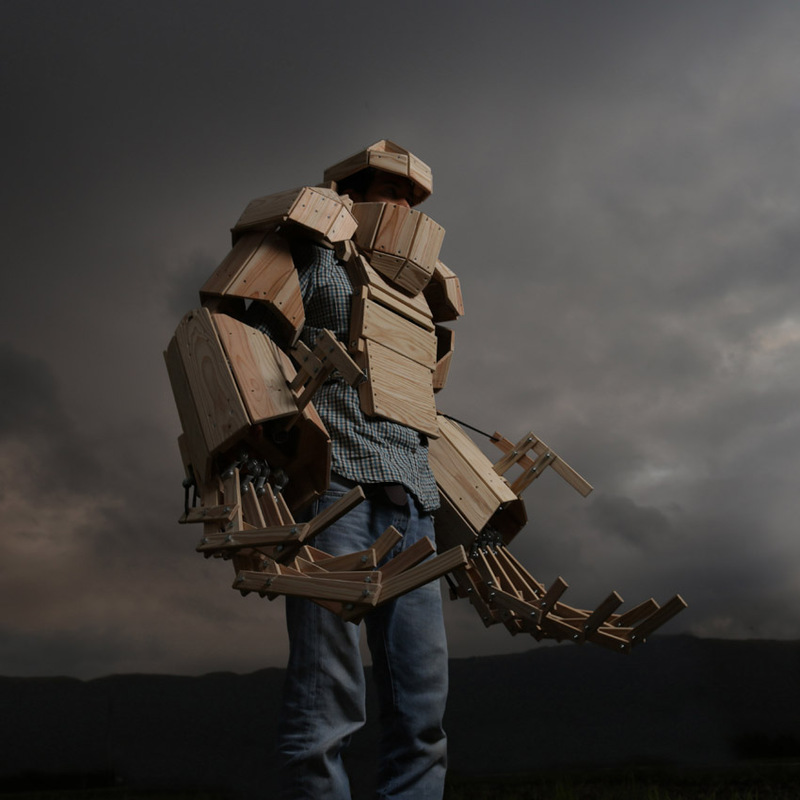 Sitthiphonh builds wearable, robot-like sculptural works inspired by human enhancement devices. 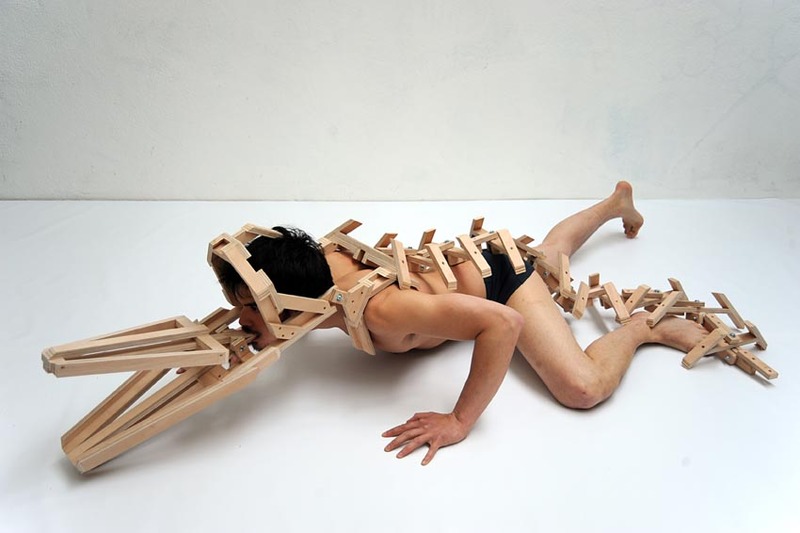 But these wooden creations actually limit body movement and can also be seen as ironic expressions of the development of humanity and technology. 2016 “BESTIAIRE” (solo), Jesuit Chapel, Cambrai, France. 2015 “MÉTAMORPHOSE”, Galerie François 1ER, Aubigny-sur-Nére, France. 2015 “UTOPIE MÉCANIQUE” (solo), Le Luisant, Germigny l’Exempt, France. 2014 “FINAL”, The old sake factory OHTSU (Artist in Aso 2014), Kumamoto, Japan. Born in 1964 in São Paulo, Brazil. Graduated from Universidade Estadual Paulista (Unesp) in 1984. Cruz explores relationships between text and image. She uses literature with her drawings to connect, like a collage, images and texts from different times and spaces. 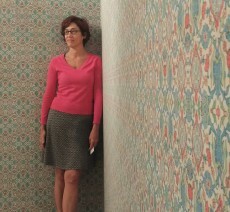 Many times, she organizes the work to create a system for cataloguing images of everyday life from several people. 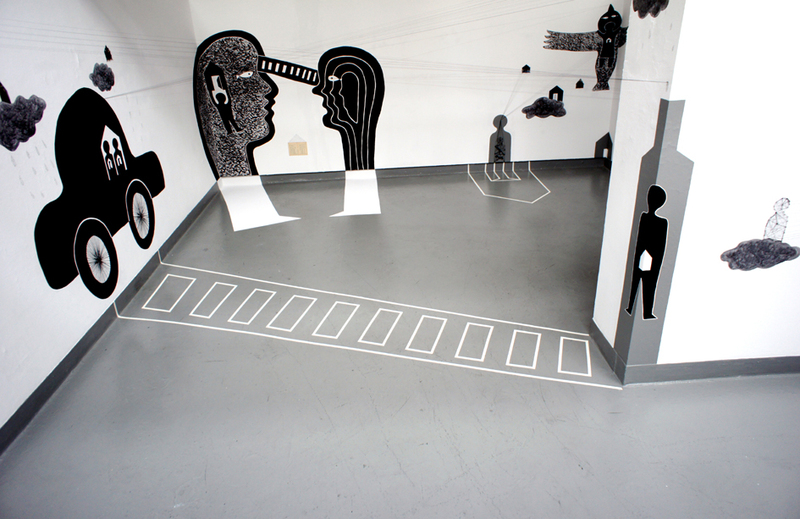 She also develops installations were the drawings interact with the space on the exhibition. 2016 “Dias uteis”, Centro Brasileiro Britanico, São Paulo, Brazil. 2016 “Abstracion Abstracao”, Galeria Fernando Pradilla, Madrid, Spain. 2015 “Sandra Cinto +Albano Afonso+Atelie Fidalga”, FAL Musashino Art University, Tokyo, Japan. 2014 “Frestas-Trienal de Artes”, Sorocaba, São Paulo, Brazil. Área de soltura, water color on paper installation, 2016. 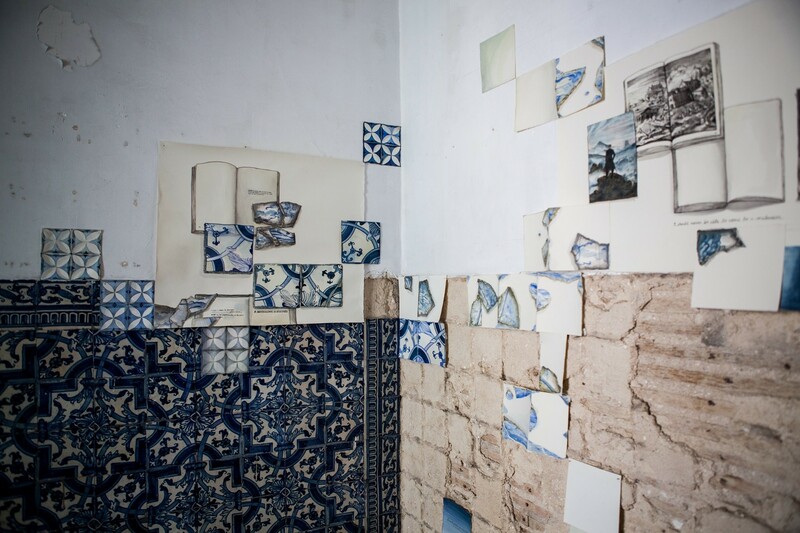 Instabilidade no palácio, water color on paper installation, 2014. Supported by The Kao Foundation for Arts and Sciences, the Agency for Cultural Affairs Government of Japan in the fiscal 2016.